October certainly lived up to its fear-driven reputation. 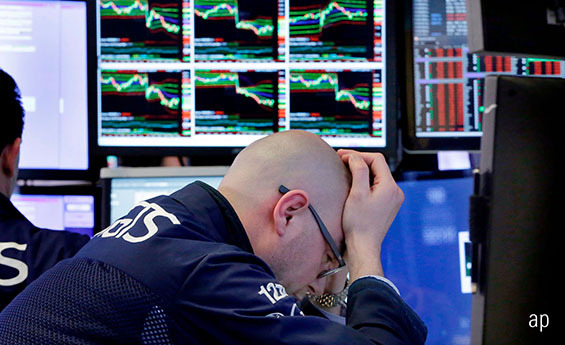 It was an ugly month for risk-taking investors once again, conjuring memories of the Great Depression in October 1929, Black Monday in October 1987 and the Global Financial Crisis in October 2008. 2018 was not nearly as dramatic as the examples listed above, although attribution at these times is always far more complex than we later believe in hindsight. This time around, stretched valuations, which we have noted for some time, are likely to have played a role, especially in the tech sector, combined with growing concerns around interest rates and vulnerabilities to Chinese growth. Regardless of how you look at it, the recent falls have marked a swift turnaround in market sentiment. By numbers, both developed and emerging-markets equities fell by around 6.8% over October, wiping out all of 2018’s gains and taking us back to around November 2017 index levels. This is clearly unpleasant, however should be hardly surprising and has barely put a dent in the three-, five- and 10-year performance numbers. Perhaps most compellingly, it is the relative performance that saw some meaningful change. While every sector fell during the month, it was a tale of two stories. Areas with rich valuations such as tech and materials, especially in the US, fell hard, while those at the cheaper end, such as telecommunications, utilities, and consumer staples, all kept losses to less than 5 per cent. Even at a country level, we saw a similar unwinding of value dispersion, where countries like the US fell by more than cheaper markets like the U.K. and parts of Europe. Thankfully, bond markets have also played a role in stemming the downside, especially in some of the higher-quality government issuance. However, this was not nearly enough to truly diversify against the losses. Of note, emerging-markets debt also held up quite well following a tough period, as did credit-sensitive assets, which is a healthy reminder that correlations don’t always hold. Currency markets largely played true amid the risk-averse conditions, with investors showing a preference for the US dollar and Japanese yen. 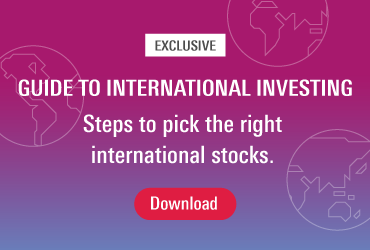 It is at these moments investors begin to appreciate the role currency exposure can play, especially for investors outside of these regions. So, where does this leave us? Many are undoubtedly left scratching their heads, although we’d encourage investors to anchor around three disciplines: maintain perspective, let facts outweigh emotions, and look at downturns opportunistically. That is, we should focus on valuation and invest for the long term. We certainly look to incorporate this thinking into our multi-asset portfolios, and our valuation-driven defensiveness helped protect some capital during this recent bout of volatility. It is worth remembering that the nature of the falls are a sign of a healthy market. Against this background, valuation acts a bit like gravity, where the effect is not always immediately noticeable, but it will make its influence known in the end. As we all know, the future carries a lot of uncertainty. With this in mind, predicting the near term and trying to pick market bottoms or tops is a futile exercise. Instead, we must seek to position portfolios for multiple outcomes, not one. We must also position the portfolios probabilistically, which to our way of thinking means carrying a bias towards those assets that are the least expensive. As Warren Buffett aptly put it, “two super-contagious diseases, fear and greed, will forever occur in the investment community. The timing of these epidemics will be unpredictable.” We are now starting to see this unpredictability play out, creating our greatest moments to add value. Cyrique Bourbon is multi-asset portfolio manager for Morningstar Investment Management EMEA.